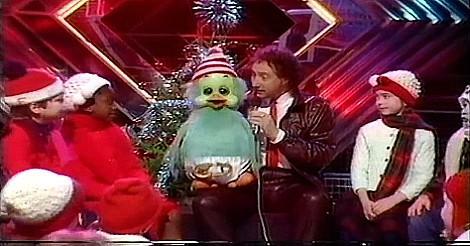 The video features Keith singing live (as Orville) at Christmas time (1982) in the BBC Top Of The Pops studio. Keith Harris was a very popular ventriloquist during the 80s, and had his own show The Keith Harris Show between 1982 and 1990. The most popular puppets were Cuddles The Monkey, who's catchphrase was "I 'ate that duck" and, of course, Orville the duck. 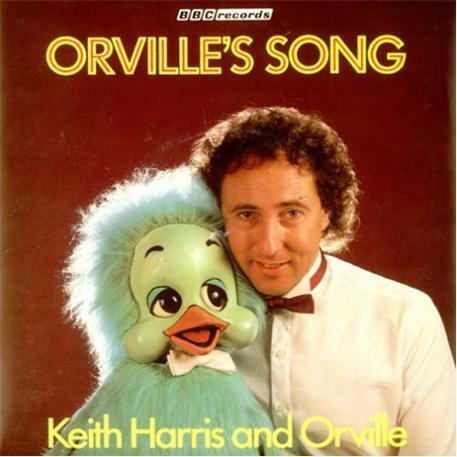 It's not often that a green, singing duck in a nappy has a hit in the pop charts, and Orville's song is the only song by a ventriloquist to make the top ten, in the UK at least! Orville's Song (I Wish I Could Fly) made #4 in January 1983 and sold over 400,000 copies. The duo also had a minor hit in December 1985 with a cover of White Christmas, and this peaked at #40 in the UK singles chart. Since The Keith Harris Show ended in 1990, he worked at Butlins holiday resorts, ran his own pantomime company (2005-2008) and has made several TV appearances. In 2009, he appeared on the BBC drama Ashes To Ashes. More recently, Harris had been living in Poulton-le-Fylde near Blackpool with his fourth wife, Sarah, and his two youngest children, Shenton and Kitty. Keith Harris sadly died from cancer on 28 April 2015 (aged 67) at Blackpool Victoria Hospital. R.I.P.